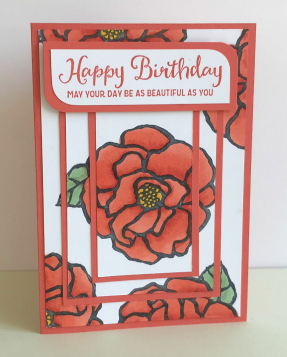 Learn about Triple Time Stamping and you'll be hooked into making these cards more often! It looks challenging but once you know the measurements it is easy to understand. 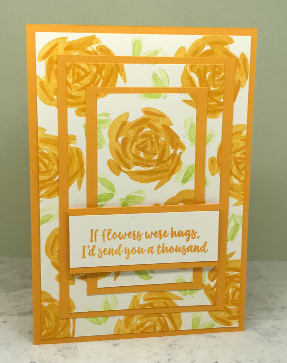 You'll just love the way it all fits together to create a delightful card. 1. 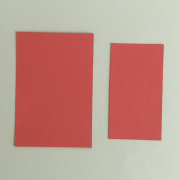 Cut an A4 piece of card in half. 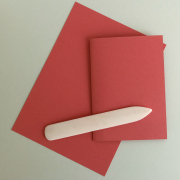 Fold one half in half again with a bone folder to create your card base. The example here will make a portrait side fold card. Layer One - 5 5/8" x 3 7/8"
Layer Two - 4 5/8" x 2 7/8"
Layer Three - 3 5/8" x 1 7/8"
Mat One - 4 7/8" x 3 1/8"
Mat Two - 3 7/8" x 2 1/8"
4. Layer your layers one on top of the other with the largest layer at the bottom. To position the layers I use a quilting ruler as this is transparent and the inches are marked in 1/8". 5. Use a small amount of repositional tape adhesive to fix them in place. 6. Create a repeating pattern over the layered card. 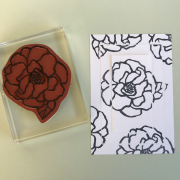 Either stamp with different colours or colour a stamped image with your preferred colouring medium. Large stamps create a more dramatic effect. 7. 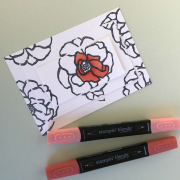 My example was stamped with black memento ink and coloured with alcohol markers (Stampin Blends). 8. Once complete add a backing mat to layer two and layer three. It is now ready to be mounted onto your card base. Add a sentiment using foam pads and embellishments. 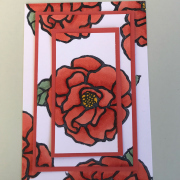 This card was created using the same method but with different stamps and colours. 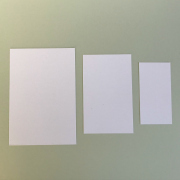 A4 card in the US is a slightly size from the UK A4 card. Layer One 5 1/4" x 4"
Layer Two 4 1/4" x 3"
Layer Three 3 1/4" x 2"
Mat One 4 1/2" x 3 1/4"
Mat Two 3 1/2" x 2 1/4"
Now you have mastered the basics why not try some variations to create a new look. 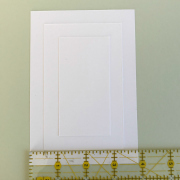 Add foam pads to your second layer to make your card have more dimension. Heat emboss some of or all of your stamped images and use the emboss resist technique to colour your card.